If you believe in Food as Medicine like I do then we might need to be friends. Hi I'm Erica and I'm delighted you're here. 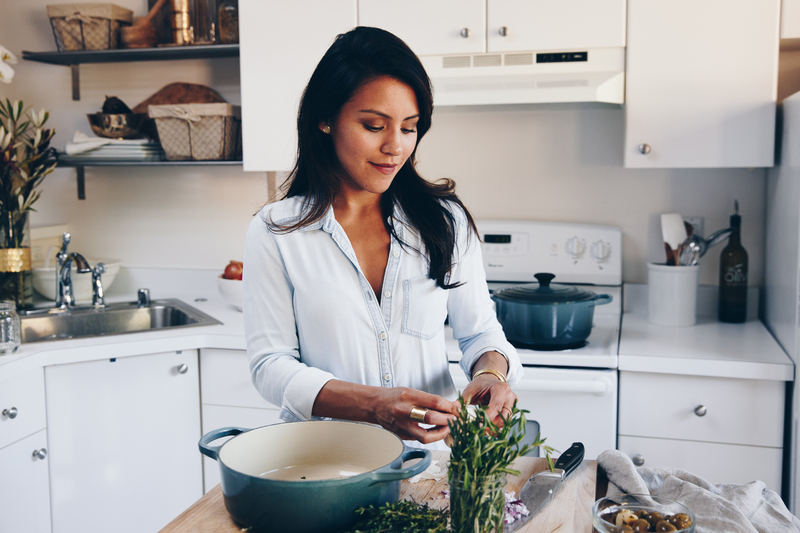 As a Functional Nutrition and Lifestyle Consultant, I work as part of a collaborative team in Dr. Jolene Brighten's clinic, supporting complex patients with diet and lifestyle therapies. All of the patients who meet with our clinic's doctors also have a visit with me, which means I've helped a lot of people. I support their patients in not only successfully adopting the necessary diet and lifestyle changes they need to heal — I also make it fun, delicious and help boost their confidence. I'd like to help you do this too! But first…let me tell you a bit about me and how I got into the field of nutrition. My horizons about food and nutrition expanded while becoming a Certified Holistic Nutrition Consultant at Bauman College, and I began to integrate the lessons of both these schools. Being a part of a clinic team gives me the opportunity to consult with some of the top minds in medicine about each client's case. I am a forever learner, so having the unique opportunity to shadow and learn from doctors has been incredibly valuable in my work with clients. I'm experienced in just about every diet out there — name it and I've probably supported a patient in implementing and transitioning off of it (if necessary). Need Low FODMAP support for SIBO? I'm your gal! Want to do an elimination diet to discover your food sensitivities? I can help! Want to talk macros? I got that! Struggling with weight no matter how much gym time you put in? I definitely got that! Looking to get relief from hormonal issues? I know a thing or two about that! I have a special interest in women's health and help women balance their hormones, improve their fertility, and improve their skin using proven food and lifestyle therapies. I live in the kitchen! I love to salsa dance and hula hoop. I live in Oakland with my fiance and 5 chickens. I'm really passionate about women’s health and co-founded Cherish.us, a website aimed at supporting mothers. I'm excited – I want to work with you too! If you're ready to go then I invite you to submit an application to work with me. Once your application is accepted, you'll be contacted and welcomed into the practice. Our team will give you all the details and help any questions you may have before you schedule. Once we get you on the schedule, the next step is to submit your intake forms so that I can review them before our initial visit together. Curious what my clients have to say? You can read their kind praise at the bottom of this page. In this consult we'll take a deep dive into your concerns and determine what are the most reasonable changes that will give you the best results. You will leave this meeting with a nutrition and lifestyle plan based on a thorough health history intake and interview. I will also include a meal plan, recipes, and other resources that will help you begin to make lasting changes. I provide every new client with a 7 day meal plan and recipes customized to their unique needs. After your initial consult, we'll meet as often as you need or at least every 4-6 weeks for follow-ups. These will be scheduled according to your unique needs and goals. Schedule a 10-min. call with Me. Want to learn a little more about me before we start working together? In this call you can share your main health goals with me. I'll explain a bit about what my approach to healing with nutrition would look like and how we might work together. Another way to work with me is by scheduling with Dr. Brighten. 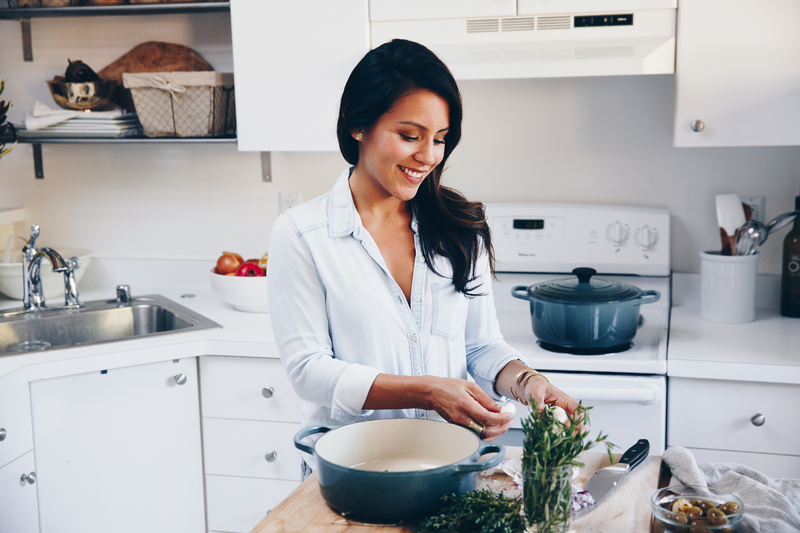 Just by establishing care with one of the doctors, you’ll get two complimentary Nutrition Consults with me to help with the implementation of therapeutic diets or to help set and establish healthy goals around food and lifestyle. Many of our patients find these sessions so helpful, they’ll continue to work with me after their two complimentary sessions. Lab Testing. Erica will not be ordering any labs, but can look over any past labs you would like to share. She can also make suggestions and offer guidance about what labs to ask your doctor for. Erica is not a doctor or a licensed practitioner and uses labs to gain more insight to your health and never to diagnose or treat. Supplements. Erica's nutritional philosophy is rooted in real, whole foods and recommendations will always begin there. You will be working together to strategize ways to work healthy food and lifestyle changes into your existing routine and supplements are used minimally. If you’re already seeing Dr. Brighten, your supplement regimen will be managed by the doctors and Erica will make any suggestions directly to them. *All consults with Erica are over the phone or via webcam. Options for in office Oakland visits available. **Food and supplements are not included in the cost of a consult. “Before working with Erica I was worried about how sustainable changes were going to be, and worried that food changes were going to be rigid. I had been working out consistently and doing other self care practices, but these things weren’t working as well as I wanted, so I thought maybe there was something I could do nutritionally.